There are parts of Fort Walton Beach and surrounding areas that are really crowded. We like it. It’s fun to be in the middle of it everything, with restaurants and attractions at every turn. 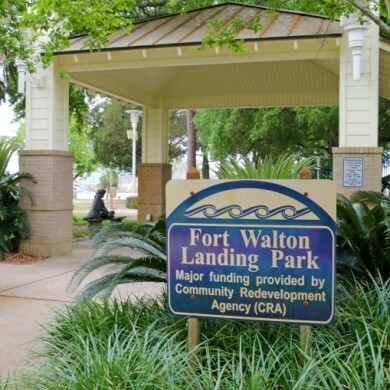 But when you’re seeking a calm place to get away from it all, may we suggest The Landing, a waterfront park just behind the main strip of Fort Walton’s quaint and quirky downtown. It’s waterfront with a boat ramp and dock, as well as a separate fishing pier. There’s a nice big playground, nestled under sprawling oaks and magnolias that were blooming during our visit, filling the air with their sweet aroma. Bonus: Because the playground is shaded beneath the trees, the equipment shouldn’t be hot for tiny hands in the blazing summer months. This is a lovely spot for a picnic, if we do say so ourselves. There’s a cute, picturesque gazebo and a few small hills. Under the oak tree or on the dock are perfect places to lay down your blanket and relax with the ones you love. There are also several benches and tables to enjoy your picnic meal. 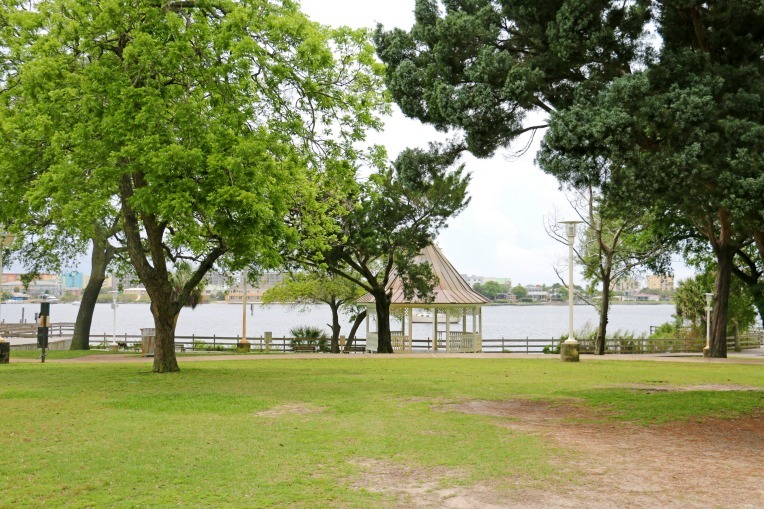 The Landing is home to many great annual events, including a new summer concert series called Concerts at the Landing. The inaugural lineup includes a few really awesome local bands we love (and hope you will, too) – like Heritage, Hotel Oscar and Continuum. Claim your spot in the park Fridays at 6 p.m. from May to July. Bring a lawn chair and a cooler. Landing Park also features a fairly large grassy field for games of ultimate frisbee or pickup soccer, or even a friendly match of touch football. The public restrooms are clean and the park is well maintained for a nice spot to stop in when you explore our downtown. You may even have a chance to read a book while the kids play. 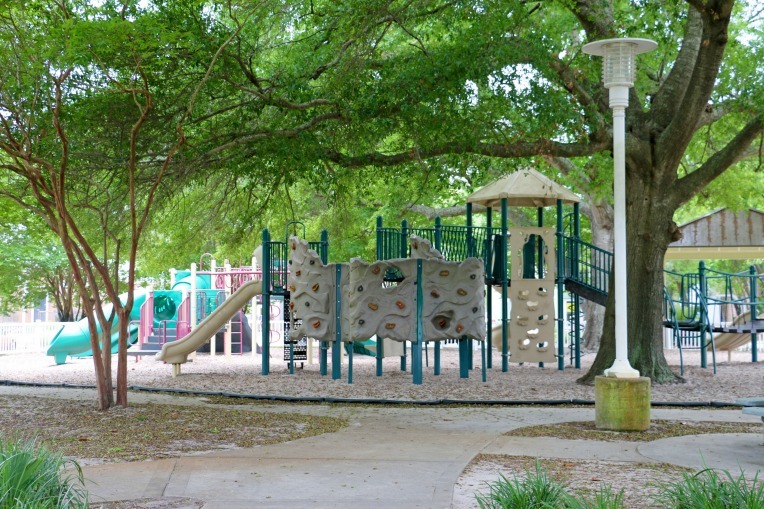 Landing Park is located at 139 SE Brooks Street in Fort Walton Beach FL. Go there now.